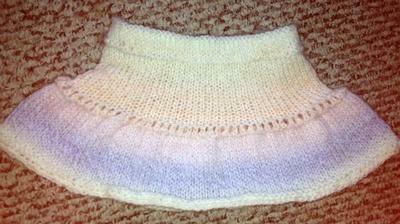 These two skirts are knitted by Maggie for her granddaughter coming up 2nd birthday. I'm very excited that she forward me these two great photos of the simple stockinette skirt and adorable short skirt to share with us. Thank you Maggie, I love them both, especially the colorful one. I'm sure you can't wait to send them out the your granddaughter. What a wonderful gifts! Join in and write your own page! It's easy to do. How? 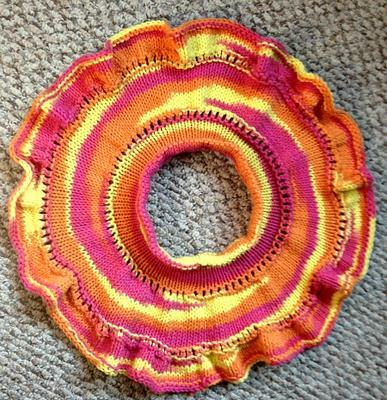 Simply click here to return to Easy Knitting Pattern.